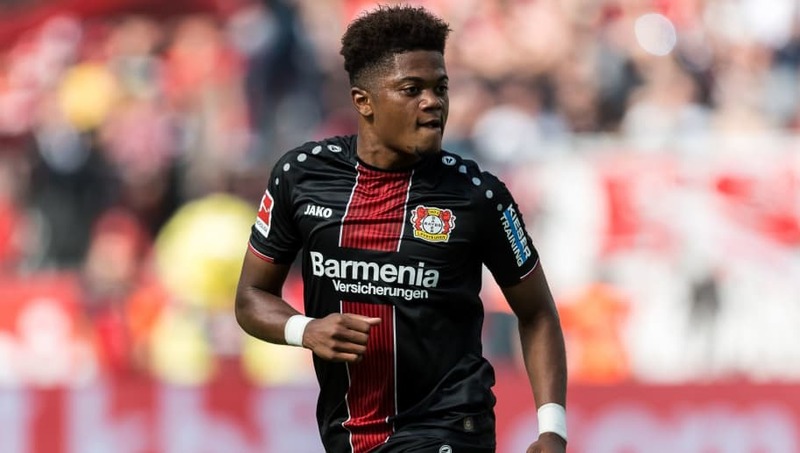 Bayern Leverkusen star Leon Bailey has been lined up as a long-term replacement for Chelsea talisman Eden Hazard and the Jamaican could move to Stamford Bridge as early as January, according to reports in Germany. The 21-year-old has been at the forefront of attention for European football's biggest clubs following his first full season in the Bundesliga, and Bailey was often linked with a move away from the BayArena throughout the summer transfer window. The forward eventually stayed with Die Werkself but a dismal start to the campaign, which sees Leverkusen sitting joint bottom of the league table, could persuade Bailey to force a move away from Germany when the transfer window reopens. Although there has been much speculation over Bailey's future destination, a report in Kicker (via TEAMtalk) claims that the youngster has his heart set on a move to Chelsea and will snub interest from Arsenal, Manchester City and Liverpool. Bundesliga champions Bayern Munich were also believed to be monitoring Bailey's future in Leverkusen, and it is understood that the former Genk winger will cost upwards of €60m. Bailey was involved in 18 goals across all competitions last season. The Jamaican earned a reputation amongst Bundesliga fans for his ability to cut inside on his left foot and find the far corner of the net - similar to Arjen Robben. Although the new season in just two games in, Bailey has already shown that he hasn't lost his goalscoring touch throughout the summer, with the youngster getting off the mark with somewhat of a trademark finish from outside the box against Wolfsburg.